Contrary to what you might believe, outfiting sharp doesn't take that much the place of work. 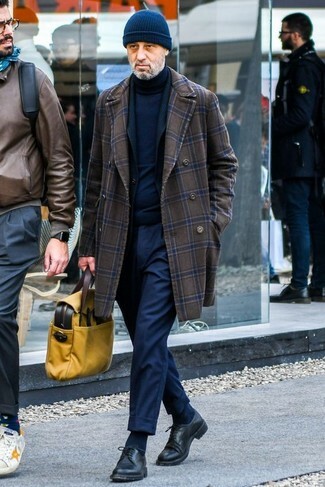 Just dress in a dark brown check overcoat and mustard chinos and you'll look incredibly stylish. Go for a pair of beige leather low top sneakers to make the ensemble more current. Nail that dapper look with an AMI Alexandre Mattiussi three buttons long coat from farfetch.com and charcoal wool dress pants. 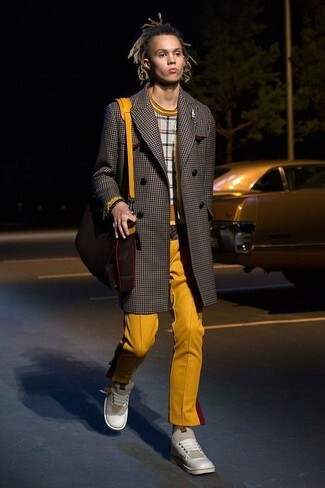 For something more on the daring side to complete this ensemble, grab a pair of yellow low top sneakers. 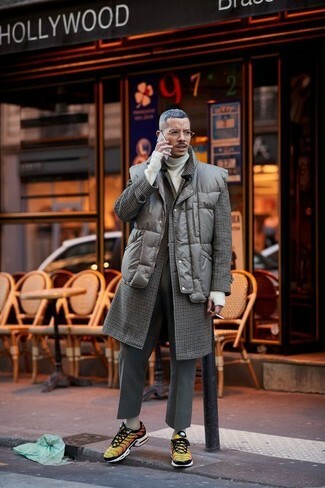 Wear an AMI Alexandre Mattiussi three buttons long coat with navy dress pants for a sharp classy look. For something more on the daring side to finish off this ensemble, throw in a pair of black leather derby shoes.